Biographies are shelved alphabetically by subject's last name. What is the Dewey Decimal System? In 1876 Mr. Melvil Dewey created a classification system which assigned numbers to books, depending on a book's subject matter. He thought it would be helpful to have all the books about e.g. the History of Asia in the same section - and all the books about e.g. Chemistry grouped together in another. The advantage to this system is not only the order it creates for the library, but the ease of use it creates for the patron who knows she wants a book on e.g. Management and Public Relations. This patron simply needs to go to the 650's (where the Management and Public Relations books are housed) and browse. The Dewey Decimal System creates a wonderful way to browse - similar to a bookstore - the only difference is finding the call number under which to browse. How do these Dewey numbers work? The Dewey Decimal system attempts to organize all knowledge into ten main classes (all multiples of 100). This means that in the 200's, you'll find Religion and Mythology books, in the 700's there is Arts and Recreation, in the 900's you have Geography and History, etc. Within the ten main classes, the Dewey system further divides into divisions which are multiples of 10 (610: Medicine, 620: Engineering, 630: Agriculture, 640: Home & Family Management, etc.). Within these divisions, the Dewey system further divides into sections (351: Public Administration, 352: General Considerations of Public Administration, 353: Specific Fields of Public Administration, etc.) And after the decimal point, things can break down even further to provide a system for grouping specific topics together. One of the easiest ways to find a book is to use our online Catalog. From here you can enter the name, author or general topic you are searching for. If you are looking for a book by Martha Stewart, you could put her name into the Author Keyword search box. Your results would include books, magazines, DVDs or even CDs! You can tell where the item is located by looking at the "Collection" information (e.g. Upper Level, Children's Room, etc.). To the right of that is the "Call Number" information. This is the Dewey Decimal Number which will help you find the book on the shelves. Perhaps you would like Martha Stewart's Good Things for Organizing book. This book is located in the 600's at 648.8 Good. Why not arrange books by subject? Actually, our collection is arranged by subject, the only difference is that we assign a number to each subject and consequently to each book to help keep things organized. Our Poetry section is located at 811. Our Travel section is located at 914. In our collection, works of Fiction are not classified using the Dewey Decimal System. Although Mr. Dewey's original schema allowed for their inclusion, many public libraries have a separate section for them. 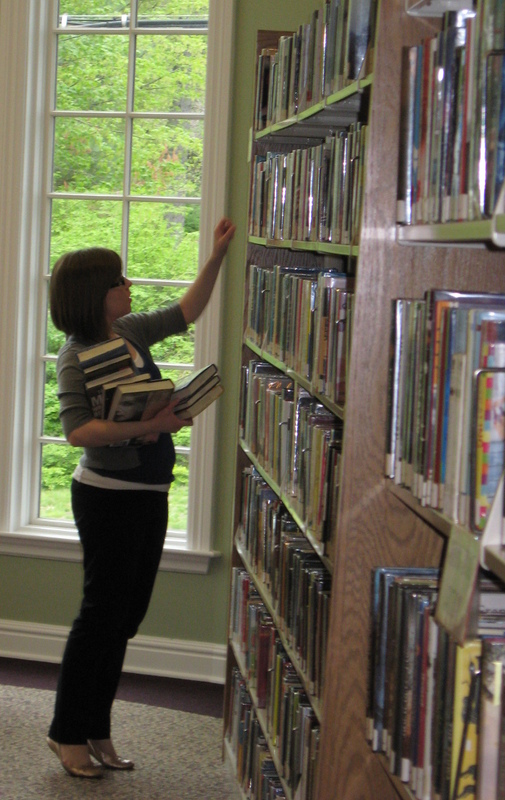 At the Bedford Public Library, our Fiction is arranged alphabetically by the author's last name. We also have a Mystery and Science Fiction section. Our Biographies are also kept in their own section and not mixed in with the Non-Fiction.